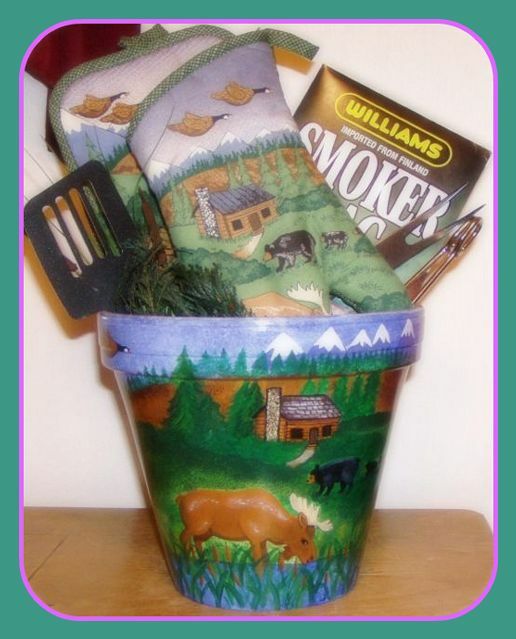 Gift Crocks are the perfect personalized gift! 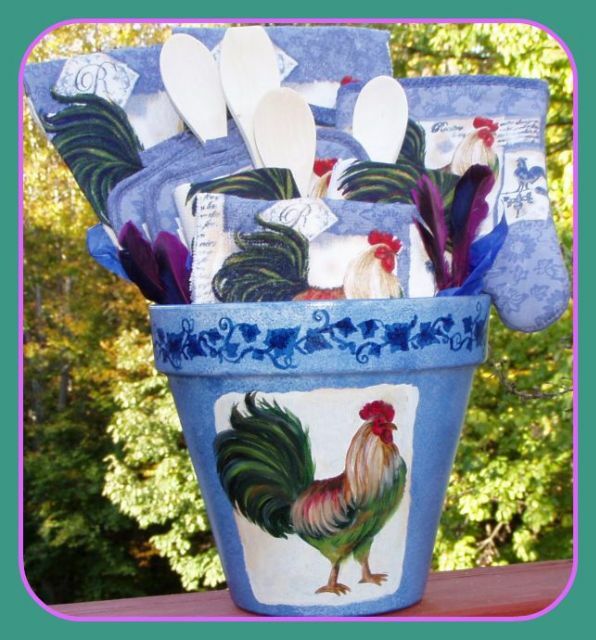 From kitchen themes of grapes, apples, southwestern chili peppers, to powder rooms of seashore, Americana, elegant or country, a designer gift crock will add the finishing touch in any room! 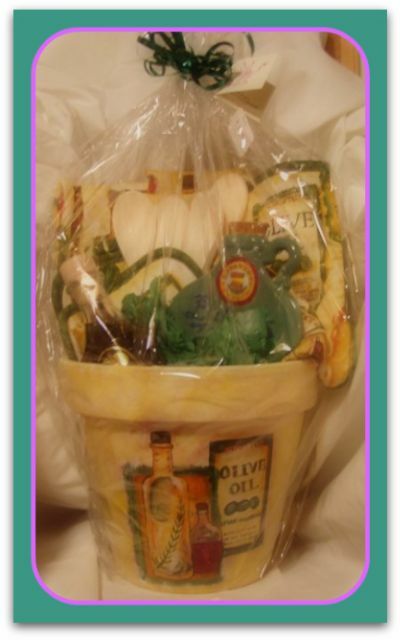 Gift Crocks can be special ordered (no extra charge) with any theme you wish or name on the rim (i.e. "Kathy's Kitchen".) 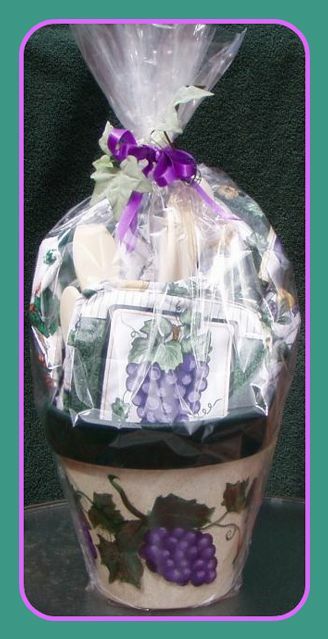 All Gift Crocks are wrapped with cellophane and a bow, and will arrive ready to give as a gift! 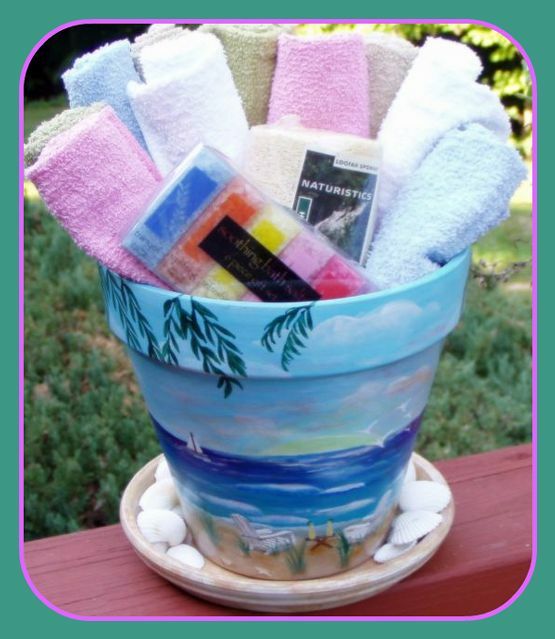 I am happy to send the gift directly to your recipient-- all you need to do is complete the "message on gift card" portion of your order and fill in the "ship to" information . 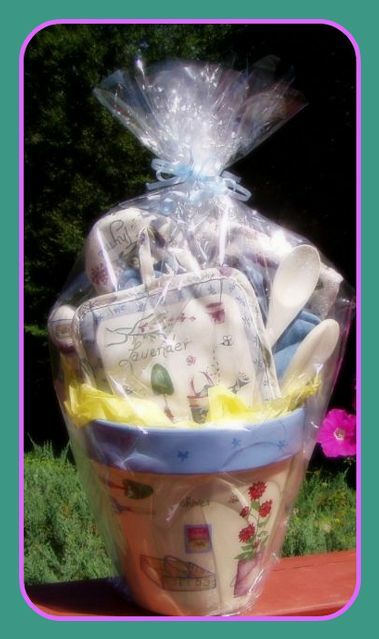 Please contact me by e-mail at Kathy@TouchedbyFantasy.com with any questions or special ordering requests. I would love to hear from you!